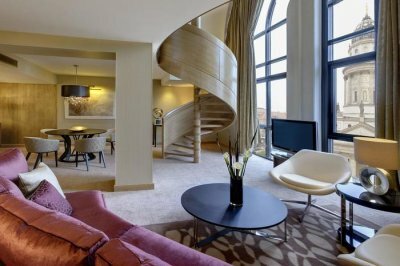 Ireland, also known as the Emerald Isle, is dotted with numerous historical sites such as castles, churches, and cathedrals. Apart from being fine drinkers, the Irish are also known to be devout Christians. Since its introduction in Ireland, Christianity has risen to be a major religion. As a result, there are thousands and thousands of churches scattered around the country over the years. Some churches are known for their historical significance while others are known for their cultural contributions. Thanks to dedicated preservation efforts, these majestic cathedrals, basilicas, and chapels live to tell their tales to the present generation. As tourists, it is essential that you pay a visit to these churches, which are the lifelines of the Irish folk. The following ten churches in Ireland are the pride of the nation, situated at some of the most stunning locales and offers peace, serenity, and calmness to those who seek them. 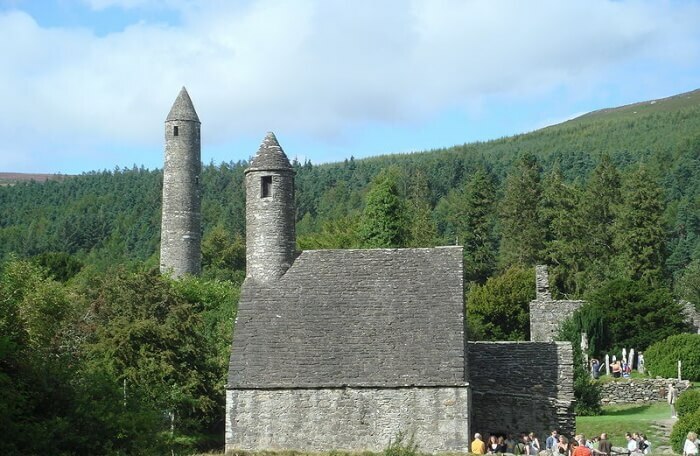 Glendalough is rich in historical monuments. And only a few of them are complete monuments, even today. The Saint Kevin’s Church is one amongst them. It earned the moniker of Kitchen Church due to its tower, which resembles a kitchen chimney. Located nearby the historically significant Glendalough Monastic Site, this church stands apart from other churches for its simplicity. 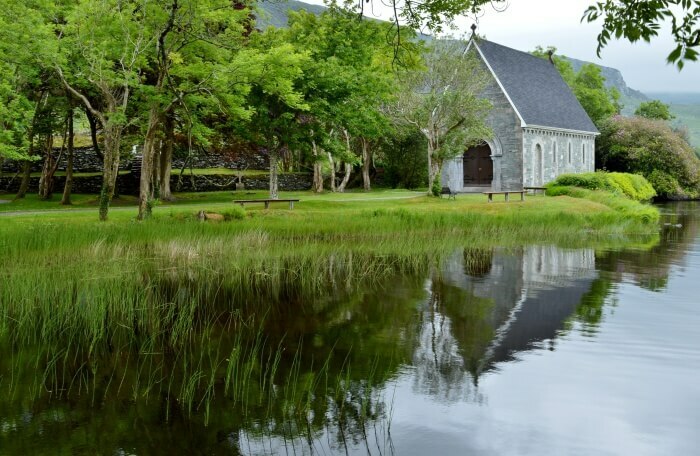 This picturesque church perfectly complements the Irish church culture. Do pay a visit to the nearby Round Tower, one of Ireland’s iconic buildings. A trip to Dublin, Ireland’s capital is not complete without paying a visit to this magnificent church. Designated as the “National Cathedral of Ireland”, this is also the largest church in all of Ireland. 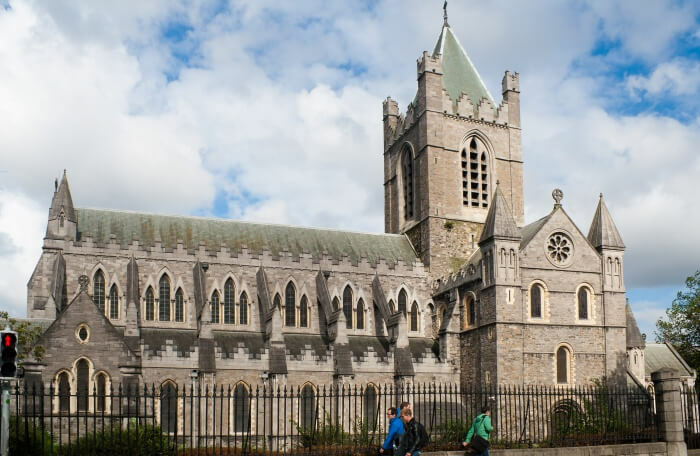 Due to its size, the church is an imposing structure in Dublin’s city line and is frequented by millions each year. 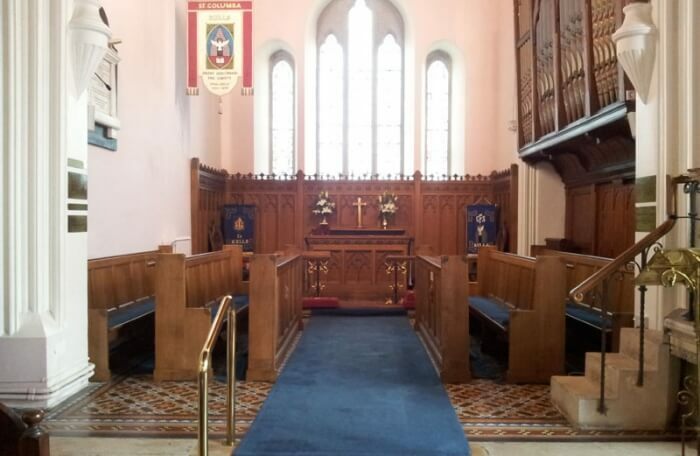 A unique feature of this church is the absence of a Bishop to administer the church’s business. The tombs in this church also serve as major tourist attractions, particularly the that of Jonathan Swift, the famed Irish writer. Also, this is the largest church in Dublin, Ireland! 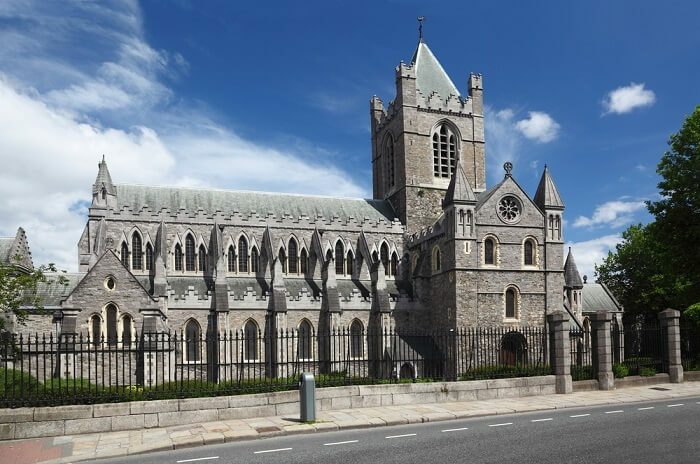 This church has the proud distinction of being the very first stone building and one of the best churches in Ireland, Dublin. The cathedral was erected for Archbishop Laurence O’Toole, who is now a saint. Visitors can see his mummified heart along with the mummified bodies of a rat and a cat at the St. Laud’s Chapel. 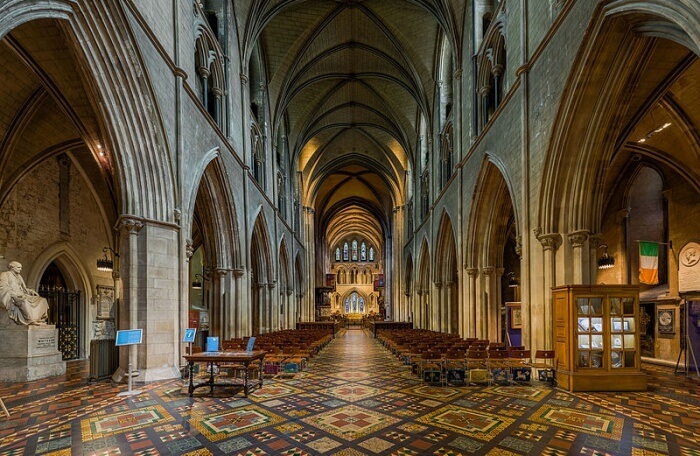 The cathedral’s interiors are known to be extremely beautiful and captivate its visitors. Try to experience Ireland’s finest choir, the choir of Christ Church Cathedral, who sing every day except Mondays and Fridays. 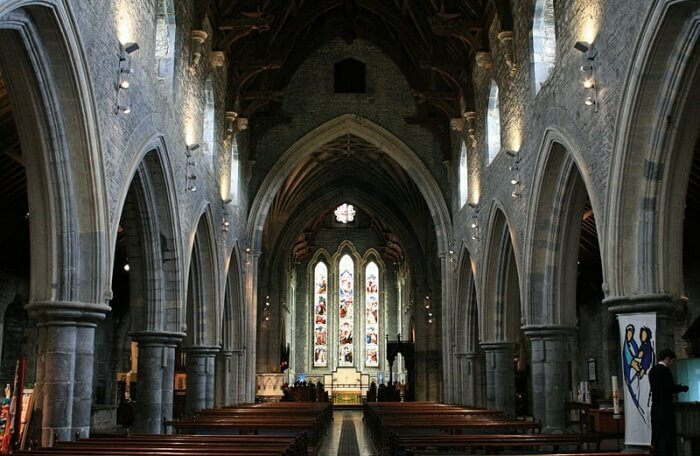 Churches in Ireland are magnificent structures and are not restricted to major cities. The church at Gougane Barra is the perfect example for this statement. 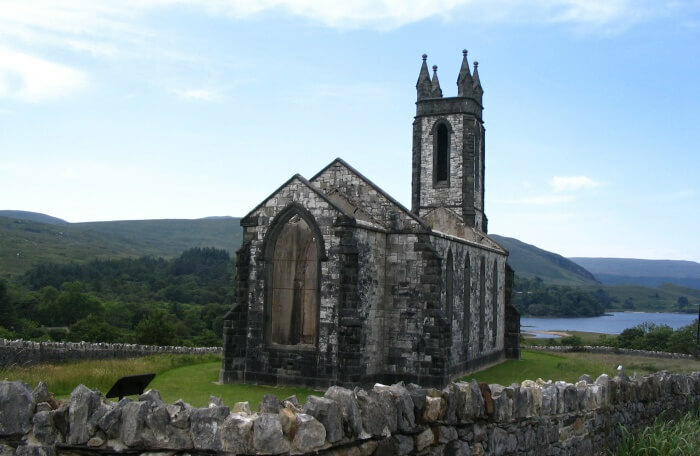 Located at the banks of Kenmare Bay, this is one of the famous Catholic churches in Ireland. Constructed in the early 18th century, its remote location managed to attract thousands to celebrate the Catholic Mass. The church and its immediate surroundings are left untouched by mankind’s commercialization and have grown famous for its natural beauty. Visitors can also head to the nearby national park for hiking and trekking. This distinctive white church is Ireland’s best-kept secret. 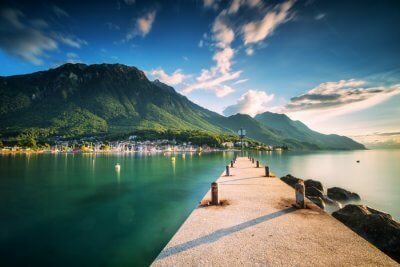 One has to visit this church and its majestic backdrop view to understand why it is really worth visiting. The church has been in existence since the first quarter of the 17th century and still retains its old-school charm and tranquillity. 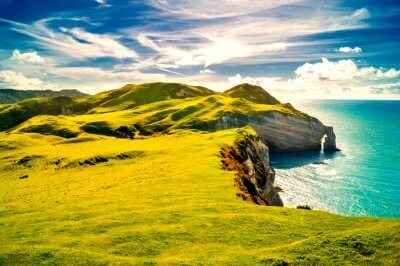 Unspoiled and less frequented, this church and its surroundings provide for spectacular sights and breathtaking vistas. Check out the sundial at this church, once used to record tidal movements. Beautiful things come in small packages. One visit to this farmer’s church and you would tend to agree to the above statement. Resembling an upside-down boat, this ancient church has stood the test of time and is one of the hidden gems of Kerry County. This simple stone structure is easy to miss without a proper guide. 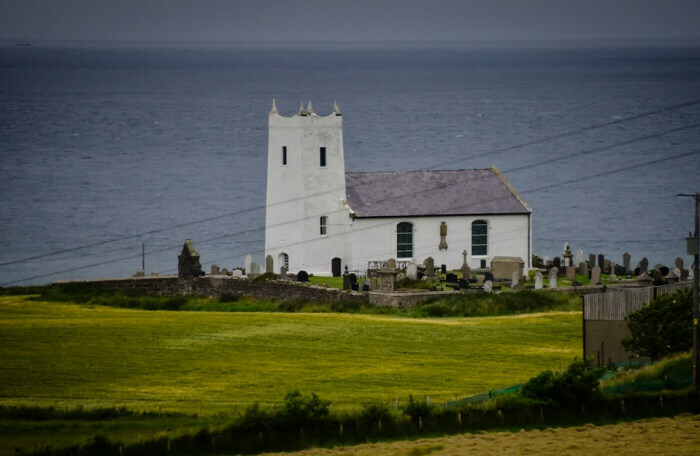 Take care while visiting this remote church, located on a farmland in the Dingle peninsula an enjoy the serenity. 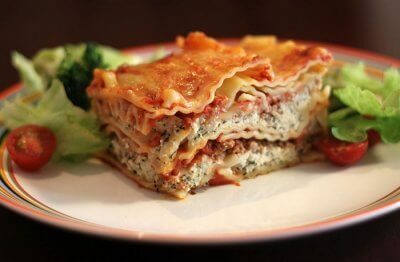 It’s small, it’s simple and it’s elegant. This is how the Saint Columba’s House can be best described. 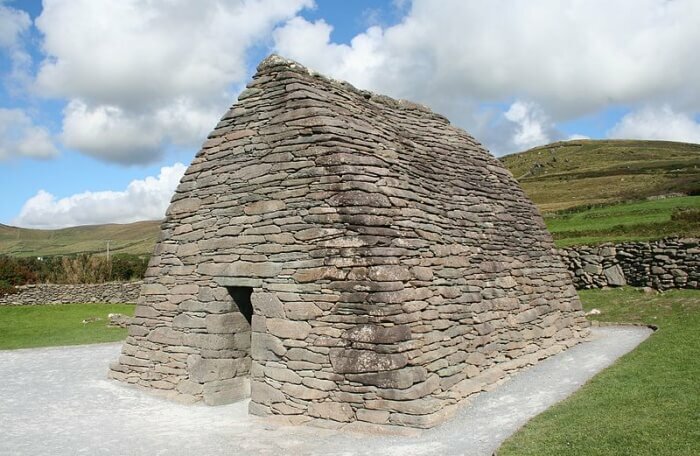 The church is also the perfect representative of the earliest known Irish Churches. Three huge crosses at this church site are a much sought-after tourist attraction. It is better to inform that Kells is a small quiet town and can be easily missed while traveling towards it. The ruggedly constructed church is a peaceful and quiet little spot for those who are interested in church history and spirituality. 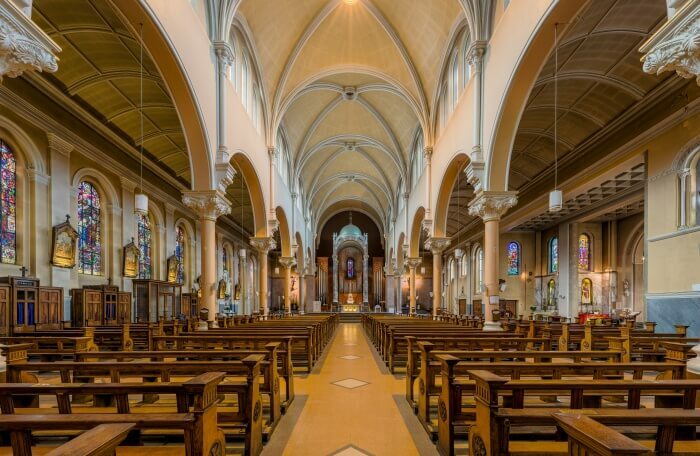 At the heart of Dublin is the Whitefriar Street Carmelite Church, which today holds the relics of Saint Valentine. 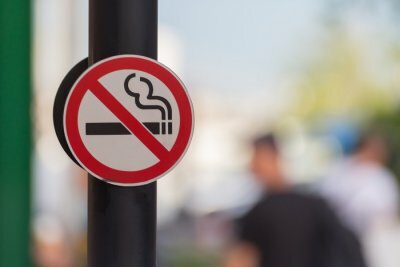 From the outside, the church gives an unwelcoming appearance. 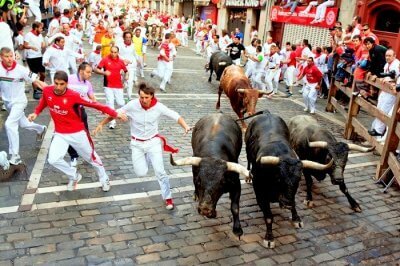 However, one foot into it, you will be spellbound by its beauty and colorful statues, relics, and statues. Light a candle or pray for your beloved ones at this Carmelite Church. The stained-glass windows are also a crowd-puller. Soak into the divinity of this magnificent church, which has such a rich and interesting history to boast of. Don’t forget to purchase souvenirs for family members back home at the church shop. Since the 6th century, this church site has been very important for Christian worship. The church is also the home to the second longest cathedral in Ireland. Visitors should pay a visit to the round tower, which is at a height of 100 feet and is the oldest standing structure in these parts. The church floor is made out of four different types of marbles, sourced from the four different provinces of Ireland and is of particular significance to the locals. Located in a small but beautiful glacial valley, this is one of Ireland’s most underrated spots. The church’s origins are unknown as there are very little records for it. Set in the Poisoned Glen, the ruins is simply a spectacular sight and worth the hike to reach it. At the foothills of the majestic Errigal mountains, the church ruins offer a calm and serene atmosphere for people seeking to escape the hustle and bustle of city life. It is evident that the Irish love their churches very much. Most of the historical churches are well-preserved thanks to the sincere efforts of the Irish folk. Your next visit to Ireland must cover the above mentioned churches. So, plan a trip to Ireland and visit these churches for a divine experience! Q. How many churches are there in Ireland? A. There are almost 4,000 churches in Ireland. Q. Which is the largest church in Ireland? A. St Patrick’s Cathedral is the largest church in Ireland.